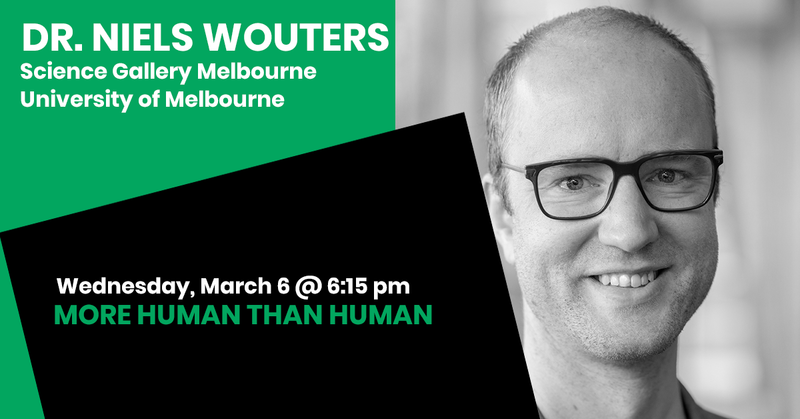 Niels Wouters is Head of Research and Emerging Practice for Science Gallery Melbourne, and Research Fellow in the Interaction Design Lab at the University of Melbourne. In his role, he promotes collisions between arts and science as a mechanism to expose the breadth of STEM (Science, Technology, Engineering and Mathematics). His research practice in Human-Computer Interaction revolves around the democratization of technology and the road to empowerment, so as to achieve tangible benefits for society. Niels’ work is regularly featured in national and international media, highlighting the impact of new technology on urban life. Niels acquired a PhD in Architectural Engineering and holds degrees in Architectural Design, Computer Science and Human-Computer Interaction.